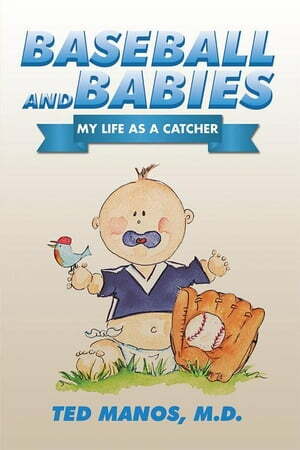 Collins Booksellers - Baseball and Babies by Ted Manos M.D., 9781514403549. Buy this book online. This book was written thirty years ago, recounting an unbelievable journey, I had at that time, that can only happen in a dream. I was an obstetrician/gynecologist that saw an ad in The Sporting News that invited the reader to be "a Dodger for a week". I grew up in Brooklyn, New York and was just at the right age to follow the exploits of the Brooklyn Dodgers before they left for Los Angeles after the 1957 baseball season. I signed up for a week at Dodgertown, Vero Beach, Fl participating at a camp for adults following the spring training program the Brooklyn and, eventually the Los Angeles Dodgers held since 1948. I played baseball through college and was a catcher for my three varsity college years. I was good enough to dream of a career in baseball. I did well academically and eventually went to medical school and abandoned the dreams of baseball but continued "catching" babies as an obstetrician. The book, follows me from my thoughts before the week, to the experience of meeting men I idolized all my life. I also experience baseball without the doubts of youth. My performance was the things that dreams were made of. The former Brooklyn Dodgers I met, achieved magical results for their team and the borough of Brooklyn. Roger Kahn, a sports journalist, wrote a book in the early 1970's describing his coverage of the Brooklyn team in its prime and revisited the men he grew to love and respect over fifteen years after those days. The book was entitled "The Boys of Summer" and they became known as the title described. The book "Shoeless Joe" and the subsequent movie "Field of Dreams" captured the game of baseball and how it occurs to boys and men. The poignant lines are, "is this heaven, no it's Iowa" and "heaven is where dreams come true". My book allowed me to commune with the past and discover baseball, without the doubts that young minds create about their abilities.